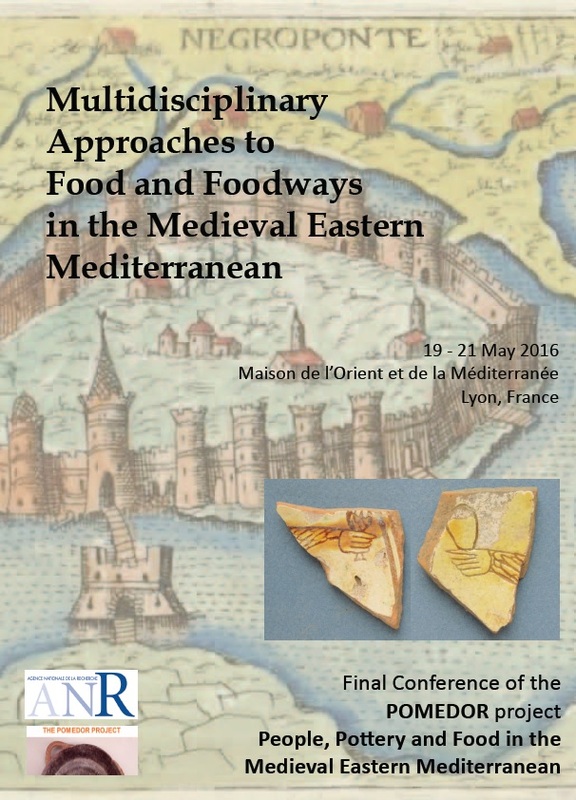 Final conference for the POMEDOR Project « People, Pottery and Food in the Medieval Eastern Mediterranean ». Information and registration before May 1st. 14h00 “Between « Tanur » and « Oven » – From the Early Islamic to the Crusader Kitchen” – E.
Studies” – E.J. 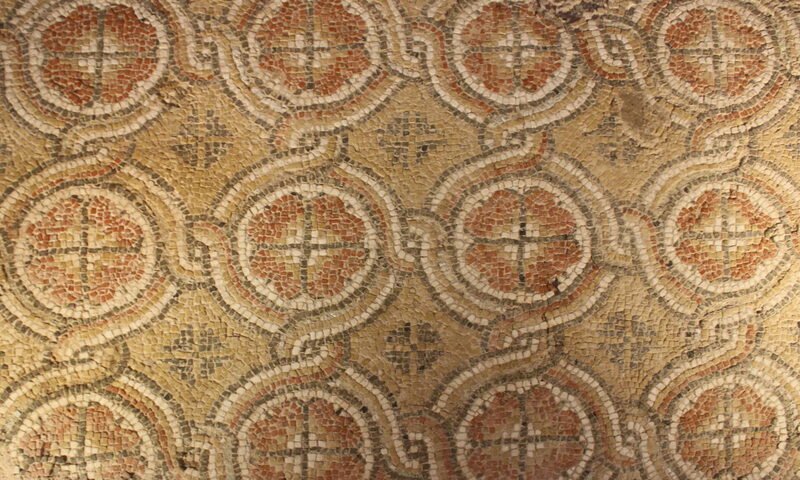 Stern (Israel Antiquities Authority), A. Shapiro (Israel Antiquities Authority), N.
Venetian Cyprus” – R.S. Gabrieli (University of Sydney), A. Pecci (Barcelona University), A.
Boeotia), S.S. Skartsis (Directorate of Byzantine and Post Byzantine Antiquities, Athens), G.
Crimea, the Black Sea. Preliminary Archaeological Typology and Archaeometric Studies” – S.
The Arab conquest of Egypt, accomplished in 642 with the capture of Alexandria, initiated a new step in the country’s history. Once again Egypt fell to the influence of a foreign power, and yet again, like with previous regime changes, we know little about institutional and organizational changes the new rulers imposed when they came into power. The general scientific consensus assumes that numerous social, religious and economic phenomena survived the first decades of Muslim rule in Egypt. However, in-depth scientific scrutiny of the administrative, social, and economic changes is still missing for this crucial transition period from Antiquity to early Medieval history. The period of time in focus, i.e., from the late 6th until the 8th century, is one of the least explored periods of Egypt’s history in the 1st millennium CE. This is partly owed to the fact that in the past, interdisciplinary cooperations were not given high priority, and even thematically close study fields such as Arabic and Greek papyrology did not form common study or research units. It is important to approach these issues on a micro and macro level, which requires analysis from a broad scope of study fields such as papyrology, history, numismatics, archaeology, religious and cultural studies, philology, and legal studies. Only a full appraisal of all relevant evidence allows us to analyze continuities and disruptions during the transition from Christianity to Islam. The conference intends to bridge this gap between neighboring disciplines and thus to give researchers from different fields of Byzantine and early Islamic studies a platform for mutual scientific and personal exchange. To address this challenge, the envisaged conference will apply an interdisciplinary and comparative methodology. At this conference, internationally established experts as well as young scholars will focus on change and continuity from late Antique to early Islamic Egypt through individuals’ experience, putting particular emphasis on continuities and disruptions during transition from the Classical to the post-Classical world. By focussing on individuals we aim to combine a ‘compartmented’ analysis (based on categories such as religion, administration, economics, etc.) with a trans-categorical approach (individuals). The purpose of the conference is therefore to insist on the plurality that is inherent to the dialectic of change and continuity. The adoption of an individual-centered perspective allows, on one hand, to exemplify a system and, on the other, to concentrate on aspects of diversity inside that system and, consequently, to better mirror the circumstantial character of change and/or continuity. Participants will discuss ‘change’ from administrative, religious, economic, and social points of view. To this end, each panel will include speakers from different disciplines and chronological core areas discussing the impact of the Arab conquest through the eyes of individuals. In fact, change is not perceived equally by all involved parties: the common taxpayer, for instance, faces administrative changes only when these changes affect the amount or the procedures of his/her fiscal obligations; decision-makers, on the other hand, will more immediately realize when their power is diminished. Concepts of change and continuity manifest themselves differently in different (social, administrative, economic, religious, etc.) environments or are perceived to a varying extent by different actors. This means, for instance, that a merchant in Bubastis in the Delta region might earlier have the impression that the Arab conquest has brought about change than a Coptic tenant does in the Thebaid. As a starting point we choose the reign of Justinian in the 6th century as a time when documentary, literary, and legal sources are comparably abundant. An end point of the period evaluated can reasonably be set at the end of the 8th century: while the new regime started to consolidate during this century, the fading of Greek sources – if taken as symbolizing late Antique culture – around that time suggests an even more obvious ‘end’ of the supposed transition from late Antique to early Islamic culture. The envisaged collaborative effort enjoys the best conditions for filling this gap by closely focusing on individuals within Egyptian society, and, for the first time, giving as much attention to the Byzantine period as to the early Islamic instead of using the first one as a mere introduction to the second or, at the opposite, alluding to the second only in the conclusion. In the end, participants will be able to assess if and why these transformations are of such significance to mark the end of Antiquity and the beginning of the Middle Ages. Each panel will reflect upon different perspectives in a final open and summarizing discussion round, which again gives opportunity for interdisciplinary exchange among the participants. Abstracts should be no more than 400 words (exclusive of title and biographical note), describing a 20-minute paper to be delivered in English. Please include the full title of your paper and a brief biographical note on your academic affiliation and previous research. We plan to publish an edited volume based on the conference proceedings in an international peer-reviewed series. Qualified junior researchers and recent PhD graduates are encouraged to apply. The deadline for full consideration is May 15, 2016. Please submit your abstract by email to: sabine.huebner@unibas.ch. The American Academy in Rome will offer its second winter program in Greek Paleography and Codicology in collaboration with the Vatican Library from 9 to 20 January 2017. The two-week course will introduce participants to various aspects of manuscript studies and offer an interactive dialogue between theory and practice. Applications from graduate and postgraduate students of Classics, History, Theology/Religious Studies, and Byzantine Studies are welcome. The last forty years have witnessed a vast reclamation project in ancient history, as scholars have worked to recover the lives of historically muted groups, particularly those of women and children. The result is an impressive body of work collecting the traces ancient women and children have left behind, as well as a sophisticated epistemology of the biases, gaps, and silences in the historical record. From this perspective, the absence of ancient mothers has represented an ineluctable reality and a methodological hurdle, but rarely a subject of study in its own right. 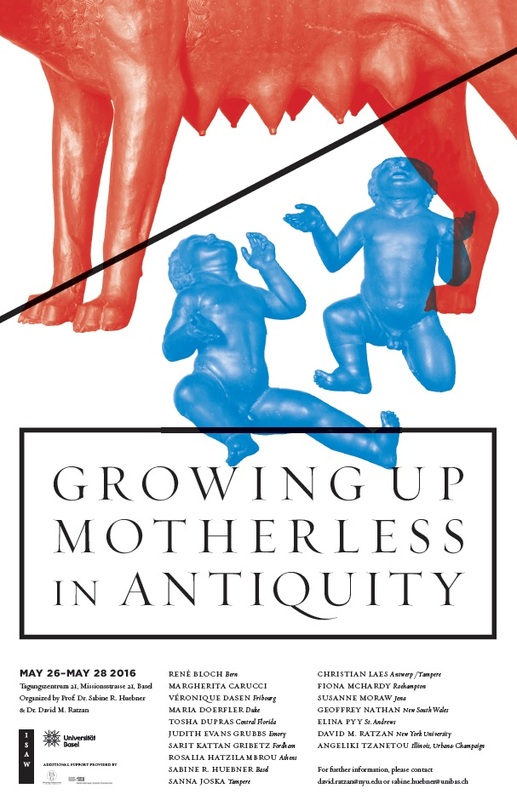 Yet the evidence suggests that mother absence was not merely a secondary artifact of bias or artistic and historiographical conventions; it was also a primary condition of antiquity, one whose root causes, social articulations, and psychological effects have never been fully described or explored, even as it had a profound effect on ancient family life and the experience of childhood. Attendance is free of charge, however, please contact Sabine Huebner (sabine.huebner@unibas.ch) for registration or any questions. Appel à candidatures de l’Ecole française d’Athènes pour un contrat doctoral d’une durée des trois ans à partir de l’année 2016-2017 dans le cadre du dispositif spécifique du MENESR.